This three-centimeter by three-centimeter (1.2-inch by 1.2-inch) image of the soil target, informally called "Punaluu" after the black sand beaches of Hawaii, was taken by the Mars Exploration Rover Opportunity's microscopic imager during the rover's "Eagle Crater" soil survey. 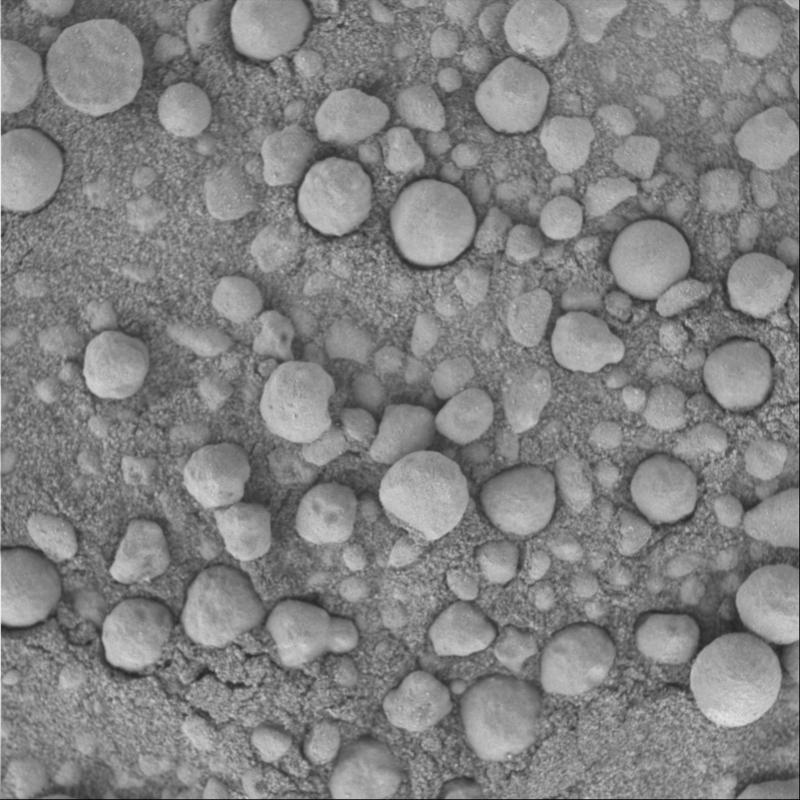 The largest particles are similar to those seen in the crater outcrop. There are also some smaller, more irregular rounded particles that have likely been transported by wind. The Moessbauer spectrometer's study of this target pushed some of the particles into the surrounding fine-grained sand.